Try as you might, keeping toys organised can be a tough job. 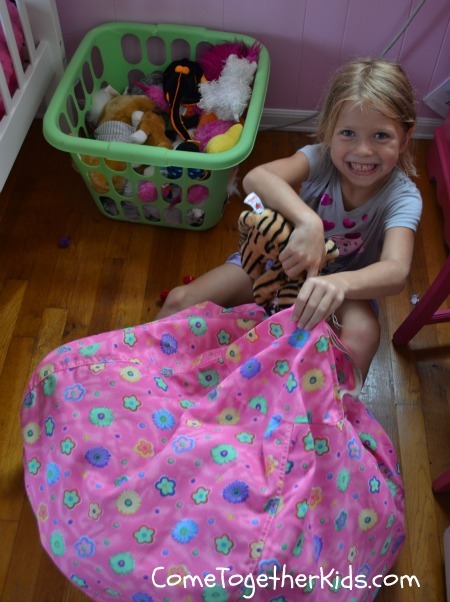 Kids love their toys in easy reach and are often quick to make a mess so soon after we tidy. It can be the most frustrating thing in the world as a parent, attempting to get control of the toy clutter! 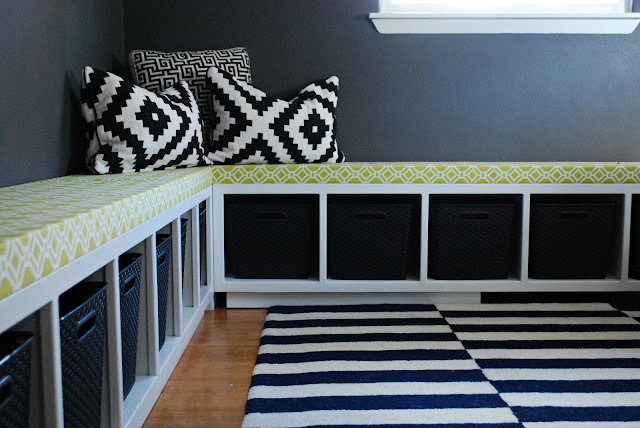 Finding easy toy storage ideas that also look great can be the challenge too, as there is nothing worse than an overflowing toy box that won’t even shut! Personally my lounge room floor would often end up being toy storage… no matter how many times I picked them up. It’s no longer my job though, so thankfully teaching my kids the responsibility of picking their own toys up is getting them quicker at the pack away tasks these days, especially when we have plenty of easy to access toy storage solutions for them. 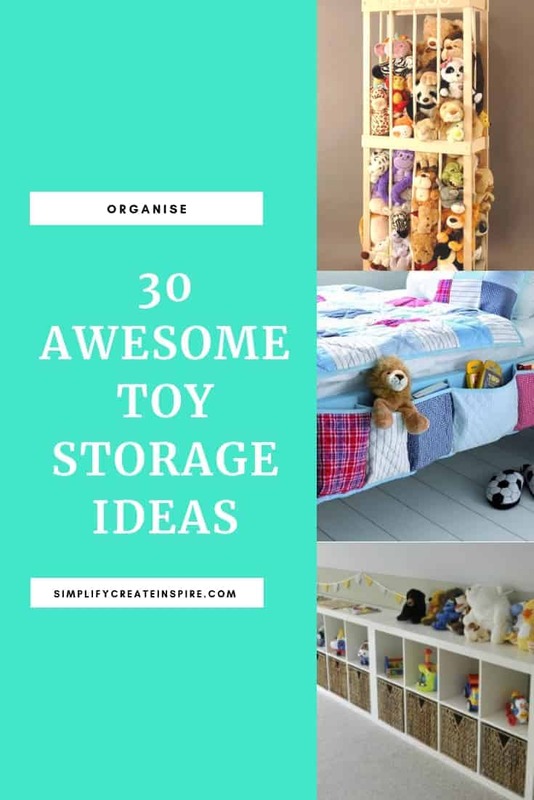 Although what most prompted me to put this collection of kids room inspiration together was a need for soft toy storage ideas when my girls were younger. 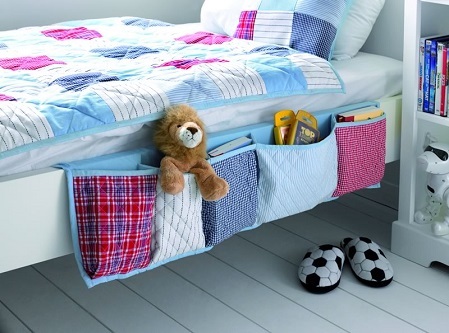 There are so many cool toy storage ideas that may make the organisation a little easier for all of us. To help inspire you to get your kids toys neat and tidy, I have done some of the hard work for you and found some unique toy storage ideas you can incorporate into your own home, either in your children’s bedrooms, play rooms or lounge storage solutions. These kids storage ideas are mostly easy to set up and look great too, as a functional yet fun way to keep the toys under control! 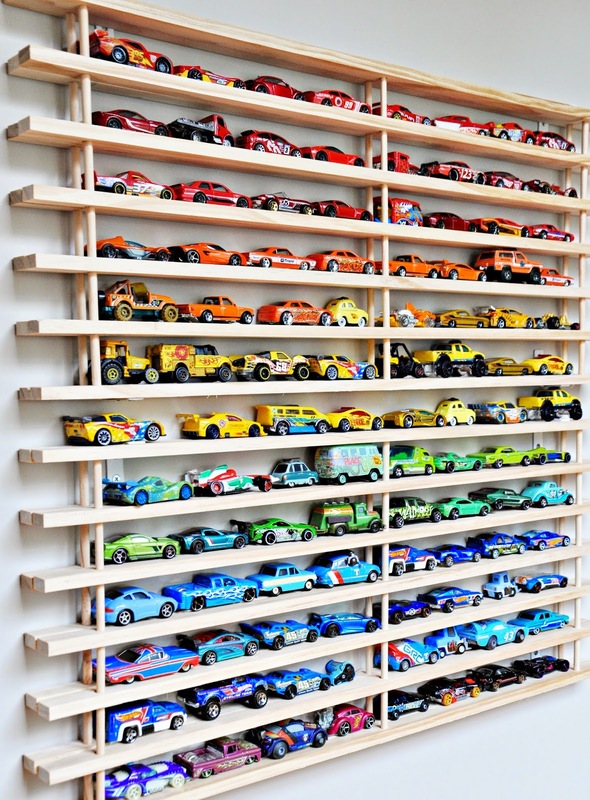 Another simple idea for keeping those matchbox cars organised. 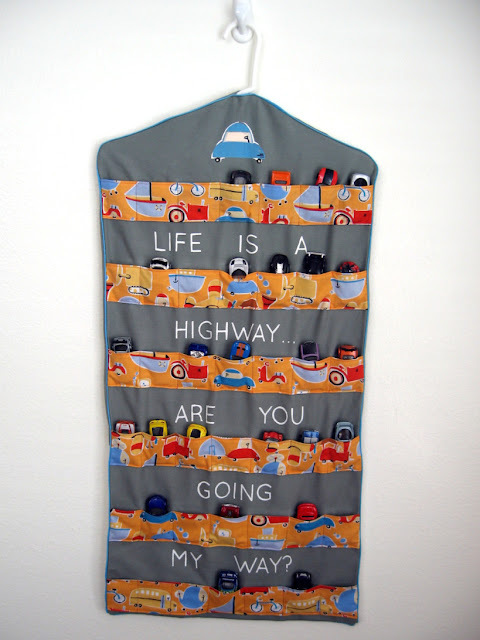 You could even hang it in the wardrobe with the clothes I suppose. Source. We got our daughter a bunk bed with storage in mind. 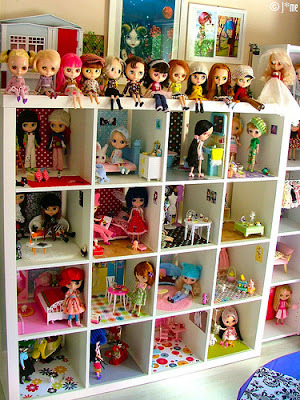 I looked up a lot of different storage ideas for teddy bears when she was younger, but her room is quite small. They take up so much room and while my previous storage idea was okay, there were a few really oversized stuffed toys that didn’t really fit. While she’s still little and wants to keep them all, they can have their own home on the top bunk. You can see miss 2’s toddler bedroom makeover here. Update: Now that she is older, the teddy bear collection has downsized a lot! She now shares her bunks with her little sister so they have only kept a few of their favourite teddy bears and soft toys that tend to share the bed with them. A spare top bunk can be an easy solution as storage ideas for teddy bears. This thing is the best. We still have toddler blocks since we aren’t at Lego stage yet, and we keep them in the hobby mat, so they are tied in a bag when not in use but easy to pull out and play. Also super easy to take on holiday when you only want to take a couple of things to entertain the little ones, which is what we did for our recent trip to the coast for the weekend. 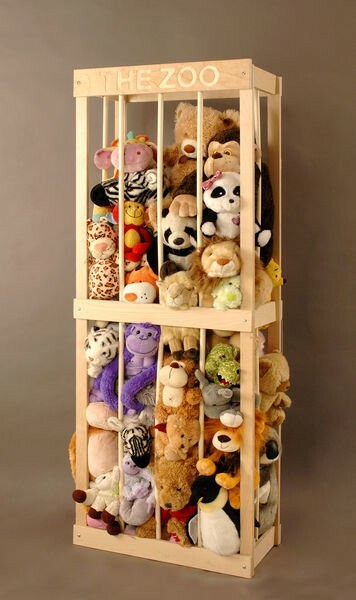 It may also be one of the many great ideas for storing teddies, since you can bag them up and keep them out of the way. So there you have it! 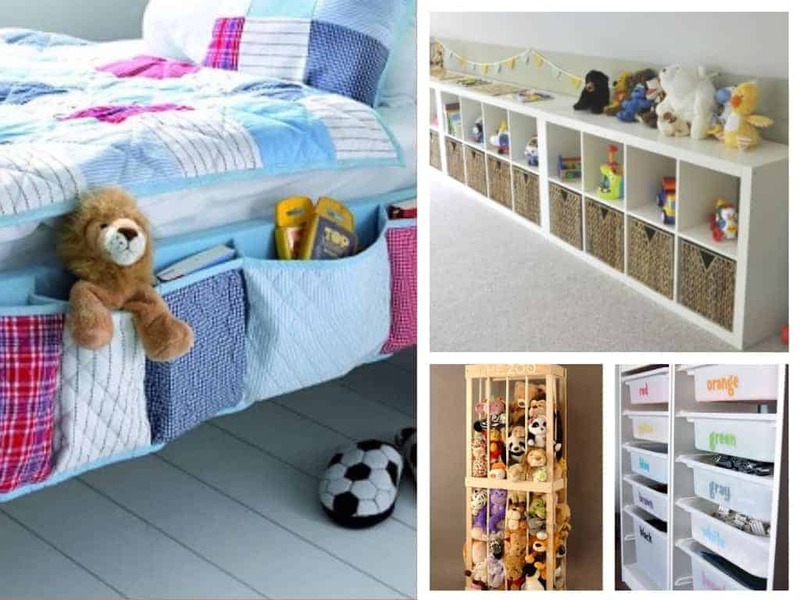 30 totally awesome kids toy storage ideas that not only look good, but are completely functional as well! 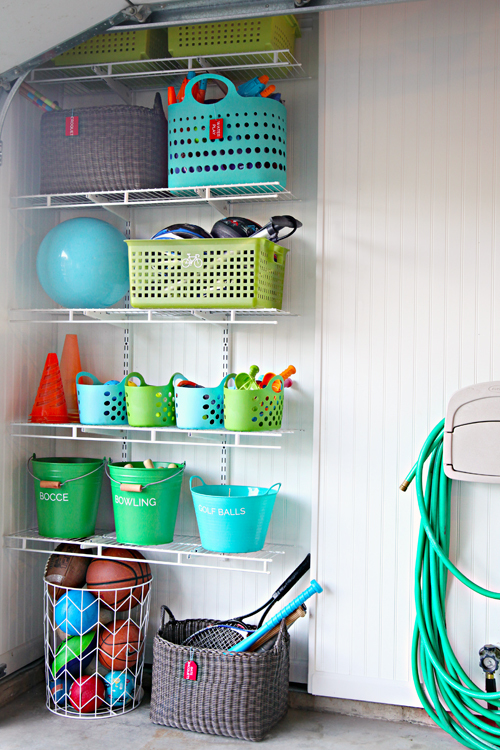 These handy storage ideas will have you rethinking the way you currently have the toy collection stored and hopefully even get the toy clutter completely under control. 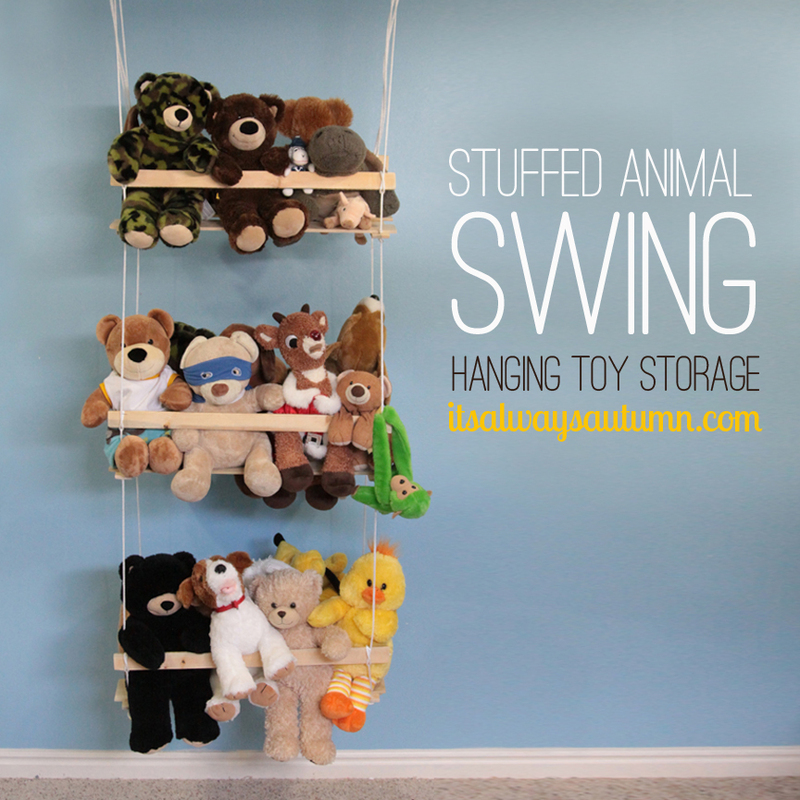 Best of all, most of these toy storage ideas are actually really inexpensive things to action in your home too! 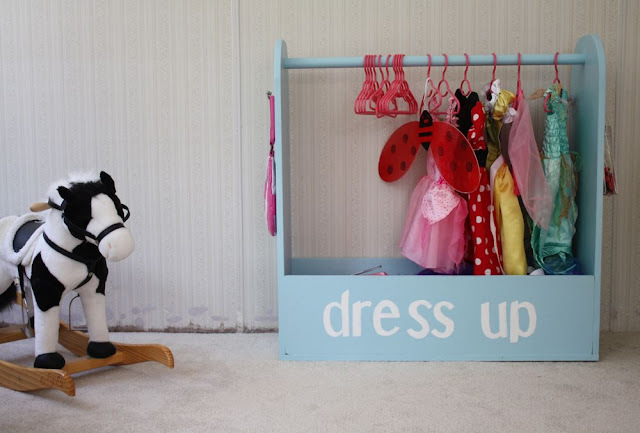 Need even more ideas for kids toy storage? 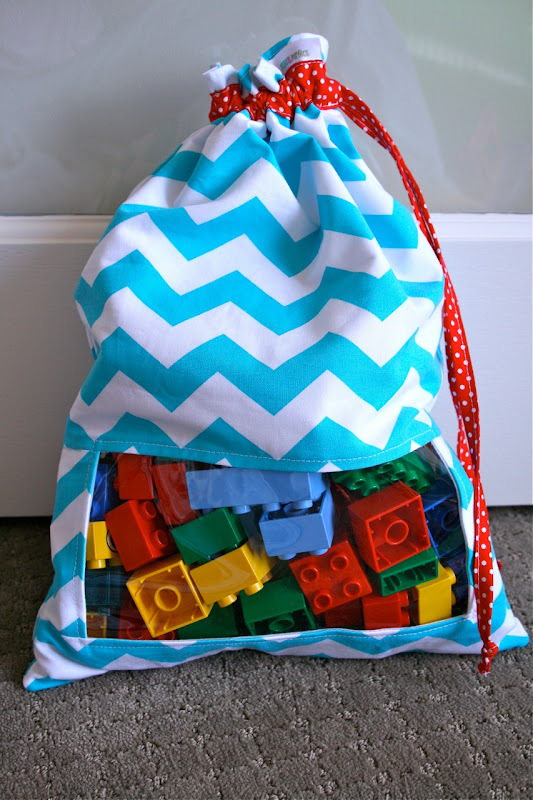 Check out 10 more cool organising ideas for toys. And make sure you pop on over to my Kids bedroom declutter to grab the free printable to help you get your kids bedroom under control once and for all! Love these ideas? 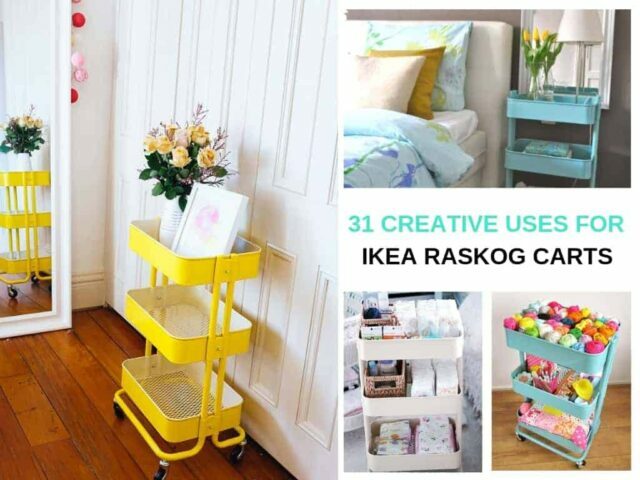 You will find some of my favourite storage solutions and products here. 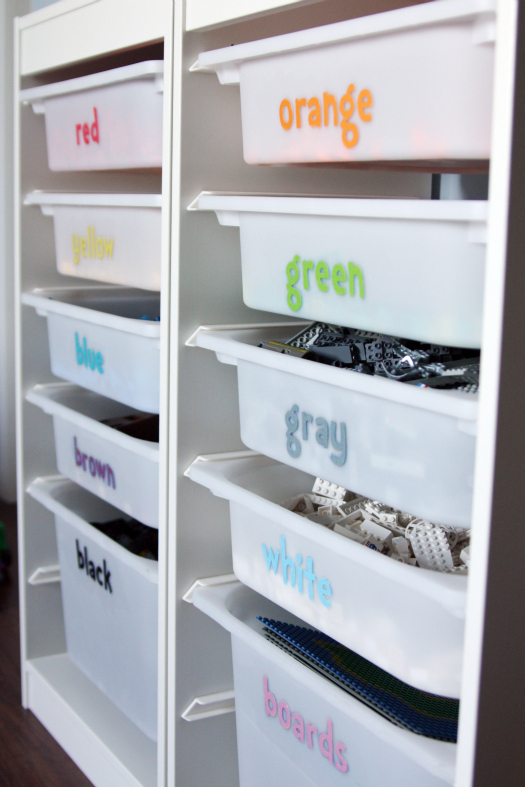 Do you have your own genius toy storage ideas to share? I love the idea of the expedit shelves as toy storage. I plan on doing this when we move her to her “big girl” room and she has more toys in her room. Thinking I may have to find a way to do it in the lounge too because I can’t deal with the mess now she has so many toys. I know the feeling. Even though we just moved the big toy box out of the lounge room, into the nursery, toys keep coming back lol they just keep multiplying! 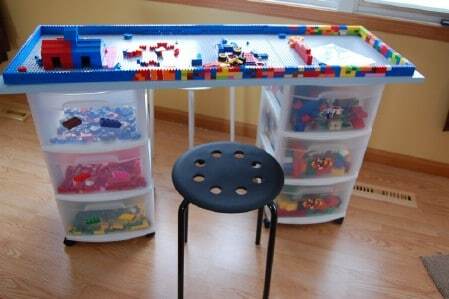 Love all the Lego storage ideas! That stuff drives me mad!!! It ends up everywhere. I even remember that when I was a kid. But it’s the best toy! These are very cool! 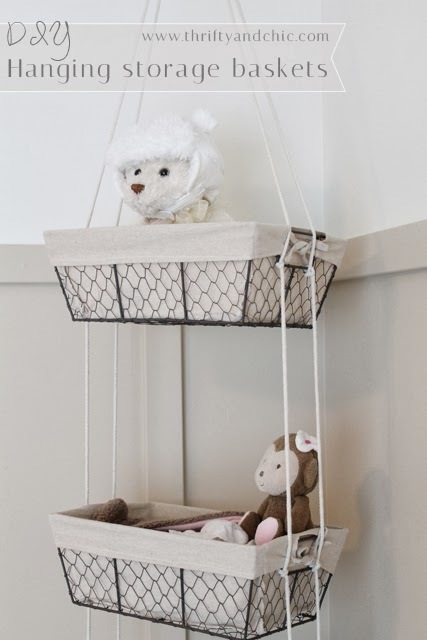 I must employ some in my girls room 🙂 I love the hanging storage baskets for soft toys! Wow. Great round up of ideas. I can’t go past the ikea expedit shelves. Both my kids have them as does our home office. Really love the cushion on top ikea hack though. Shannon, I’m so with you on the Expedits. The one I have in my office/craft room actually looks semi organised compared to the state of the rest of the room. They just look great and seem to make everything work better. Ikea is the best! Soft toys are the worst! lol They just keep multiplying! Would you believe on the weekend my hubby’s little brother pulled out his old Lego collection from childhood (he turns 21 tomorrow) and it was all packaged up in a neat stackable drawer container, with the bottom drawer full of manuals. Apparently my mother in law was a Lego organising pro from way back! I was impressed. Thanks for sharing this great collection with the Say G’day Party Holly! Pinned some of these! What a thought! super ideas really! It is clever and space saving ideas. I think mom will get rid of kids messy toys. 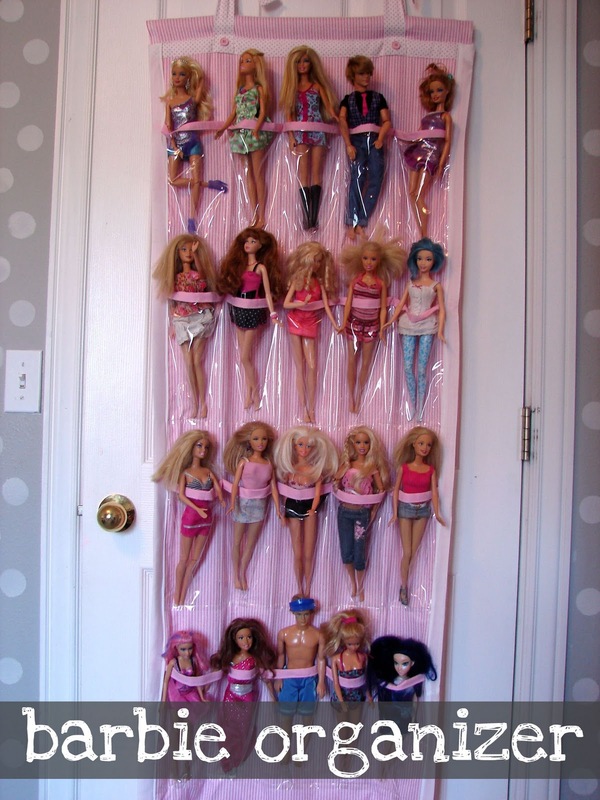 Thanks for sharing such a nice toy storage ideas. So clever thought. 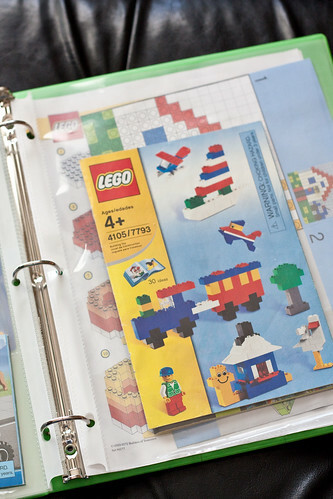 really helpful ideas organize kids toys. It will keep clean kids play area. Mom can get rid of huge massy toy zone. Thanks for such unique toy storage ideas.